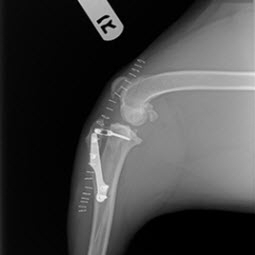 At Yorktown Veterinary Associates, we offer comprehensive surgical services from elective procedures like spays and neutesr to more complex procedures like fracture repair, torn ligament repair and gastrointestinal surgery. Both Drs. Zuckerman and Lovisa have many years of experience in both routine and complex soft tissue surgery. When needed our surgical specialist is available to perform orthopedic and highly complex soft tissue procedures. Our Licensed Veterinary Technicians are caring and extremely well trained in pre-surgical, intra-operative and post-operative care. We monitor our surgical patients with electrocardiography, pulse oximetry, blood pressure, temperature and most important well trained humans. Thermo-conductive fabric heating pads are used to safely keep your pet warm and comfortable during procedures. The most modern anesthetics are utilized along with pre-surgical examinations and laboratory evaluation to ensure that you pet has the safest experience possible.